When you go to the store and buy that low-cost cleaning product, you may think you’re saving money but those products can have many hidden costs to the environment. Chemicals from household bleach, detergents, dish-soaps and toilet cleaners can leach into the soil and into our water without decomposing for decades. Studies have shown that nearly 80% of our streams are contaminated with man-made chemicals. Many of these chemicals are known to be endocrine disruptors, meaning they interfere with the hormones of animals and people and lead to ill effects especially to our reproductive systems. They can also be neurotoxic and carcinogenic or cancer-causing. We all have an obligation to protect our environment and leave this place pollution free for our children and future generations. 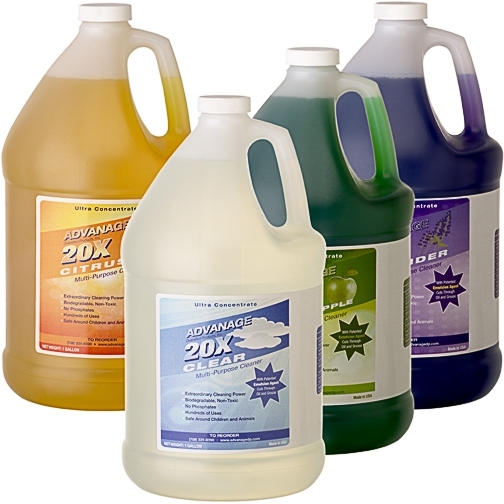 One multipurpose cleaning product that is eco-friendly is ADVANAGE 20X Multipurpose Cleaner. It is non-toxic, biodegreable, phosphate free and safe around children and pets. First encourage everyone in the family to wipe down tubs and sinks with a soft cloth after every use to prevent dirt and soap deposits from building up. If the sink is stainless steel, go over it a second time with a dry cloth. Standing water will cause spots to form. The material of a tub and sink determines how you clean it. As a rule, never use an abrasive cleaner such as scouring powders or steel wool on acrylic, fiberglass, stainless steel, or sealed-marble tubs and basins. Instead use a sponge with hot water and a liquid cleaner. And make sure that cleaner is eco-friendly, because toxic liquid cleaners are a major cause of contamination to our nation’s streams. One liquid cleaner that will clean your tubs and sinks better than you ever could imagine is ADVANAGE 20X Multipurpose Cleaner. And it is eco-friendly, non-toxic, biodegradable, phosphate free and safe around children and pets. 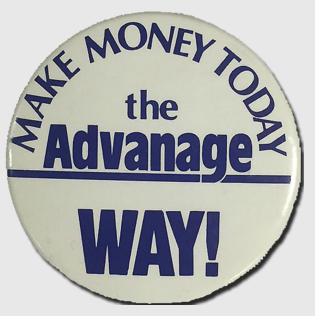 For more information go to www.advanage20x.com or call 877-588-8391. Are you looking for quality eco cleaning products? Natural, premium-quality cleaning products for safe & effective home cleaning by Advanage20x. Are you looking for quality eco cleaning products? Here is what you need to know. On the market today, there are many eco-friendly cleaning products but not all produce the best cleaning results. Cleaning products are everywhere in our homes and offices: on dishes, countertops, furniture, clothes, floors, windows, and floating through the air. In our war on dirt and germs we may often actually be making things worse. Whether you’re a housekeeper who cleans with these products all day or someone who cleans your own home regularly, you should take the time to consider it. 6 reasons to try our muti purpose cleaner that is a eco friendly cleaning product. Using environmentally friendly cleaning products just makes sense. What are your thoughts on eco cleaning products? Instead of polishing your sales presentation or spending a lot of money on brochures, etc., in order to get people to understand and want your product… demonstrate it! By showing your prospect what your product can do instead of just talking about it, you’re short-circuiting the entire selling process. That is, instead wasting everyone’s time with a conversation, you’re cutting to the chase and demonstrating benefits. This is a great way you to shorten your sales cycles which leaves you more time to spend with more prospective customers and make more sales. That’s why cleaning products are favorites in the world of door-to-door selling. In that world, the sales person must make his/her case to a total stranger quickly. So, what successful cleaning product salespeople do… is after using a little conversation to first sell themselves, they then move quickly to find a spot and clean it. If they sense real interest they do it again, ask for the order and move on to the house next door.